In partnership with Kripalu Center, Give Back Yoga Foundation is honored to present the first edition of our new Yoga Service Resource Guide. Over two dozen service organizations are represented in the guide, which offers an overview of yoga programs that are geared towards populations ranging from at-risk teens and children to veterans and first responders. The Resource Guide also shares dozens of firsthand stories from participants who have reconnected with themselves through yoga, as well as teachers and administrators who have seen students experience breakthroughs in their practice. 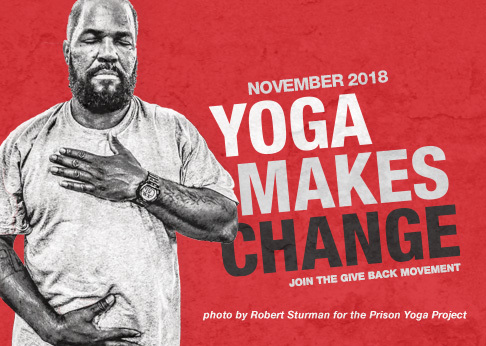 And it gives a glimpse into the science of yoga with a selection of clinical studies and professional articles centering on underserved populations like prisoners to seniors. Download your copy of the Yoga Service Resource Guide today.